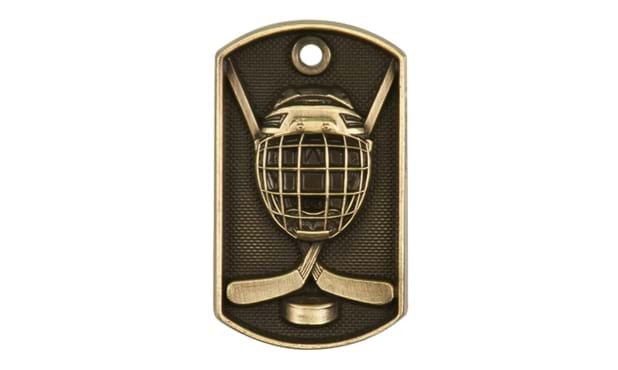 2" hockey 3D cast metal dog tag with a 24" ball chain included. Available in antique gold finish only. 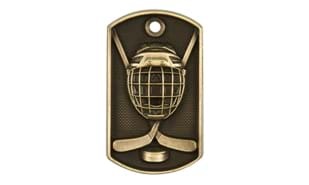 Includes 2 lines of engraving. This product comes packaged in bulk.